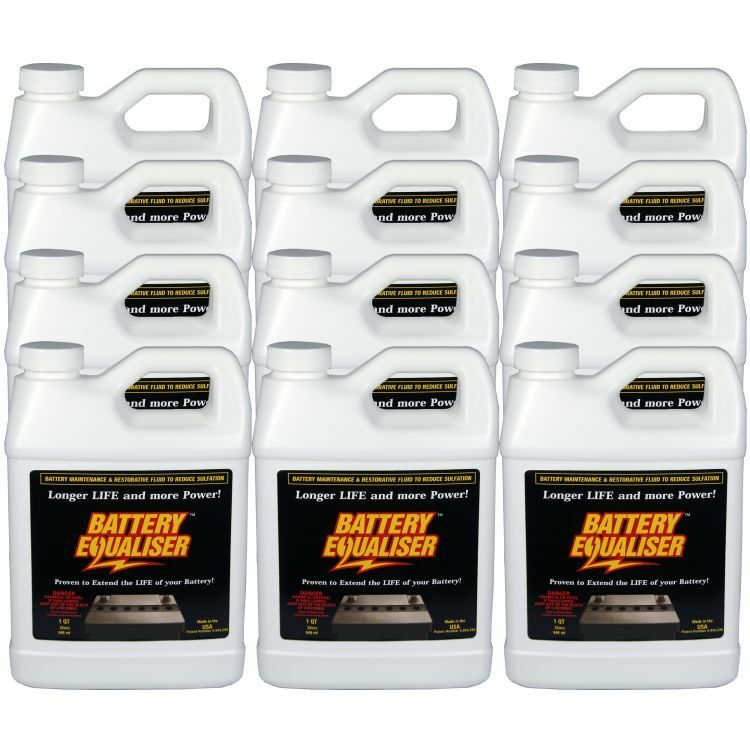 Battery Equaliser | A case of 32 oz bottles of liquid solution for battery rejuvenation. Do you own the BE32OZx12? Please, tell us what you think about it. It helps us provide you with better products. Please note that it may take up to 72 hours for your review to appear.